Top court rules that some corruption cases in the five-year old Lava Jato investigation will be handled by electoral courts, whilst politicians accuse prosecutors of political agenda. Brazil’s Supreme Court has ruled that some corruption cases will be tried by electoral courts, a decision that prosecutors say will have dire consequences for a sprawling graft probe stirring Latin America’s largest nation. In a 6-5 ruling, the top court decided on Thursday night that electoral courts should handle cases that involve ‘Caixa 2’, the term used to describe campaign financing via bribes. Launched in March 2014, the so-called ‘Lava Jato’ (‘Car Wash’) probe has uncovered schemes in which companies received bloated contracts and then kicked back billions in bribes to officials. 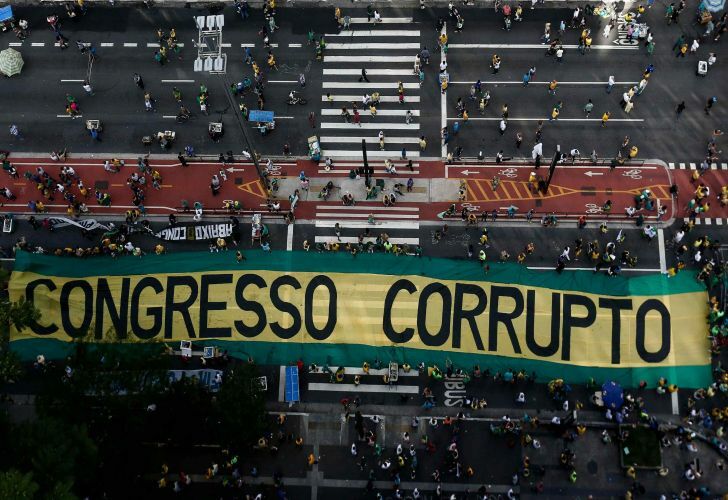 Investigations have led to the jailing of top political figures, such as former Brazilian President Luiz Inácio Lula da Silva, former Chamber of Deputies Speaker Eduardo Cunha, and former Rio de Janeiro Governor Sergio Cabral. They have also caused political impact in Peru, Panama, and El Salvador. But many legal analysts, business leaders, and politicians accuse Lava Jato prosecutors of judicial overreach in favour of a political agenda, which prosecutors deny. The court ruling on Thursday said that some cases should be tried by electoral courts because they involve politicians who received kickbacks from companies to finance their campaigns. The hashtag “The Supreme Court will not shut us up” was quickly the No. 1 trending topic on Brazilian Twitter on Friday, with users calling for the justices to be impeached. 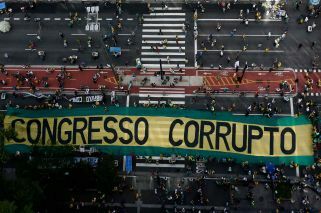 “Happy corruption day,” wrote columnist Helio Gurovitz on the G1 news portal. Lead Lava Jato prosecutor Deltan Dallagnol tweeted that “the fight against political corruption that began five years ago is coming to a close”, suggesting that sending complex white-collar cases to electoral courts is essentially a way to ensure that nothing happens. Dallagnol has been seen to be taking on an even larger role in the probe since former federal Judge Sergio Moro became justice minister for far-right Brazilian President Jair Bolsonaro at the beginning of this year. Justice Gilmar Mendes, who voted in the majority, said that efforts to sway the Supreme Court not to send cases to the electoral justice system amounted to methods used by “gangsters”. “This is a fight for power,” said Mendes, a long-time critic of the Lava Jato probe. Several justices said that Brazil’s electoral court system lacks the infrastructure and expertise to handle big corruption cases. Justice Luis Roberto Barroso disagreed with the majority but said that the country would find ways to revamp its justice system and put Lava Jato cases on trial. Justices also noted that electoral court judges could still revoke their right to prosecute such cases and send them to Brazil’s criminal justice system. Thiago de Aragao, a political analyst in Brasilia, said the electoral court is “highly influenced by politics”, which could make it easier to get away with accepting illicit money. The decision isn’t an “automatic game-changer for fighting corruption, but it does open a window”, he said.